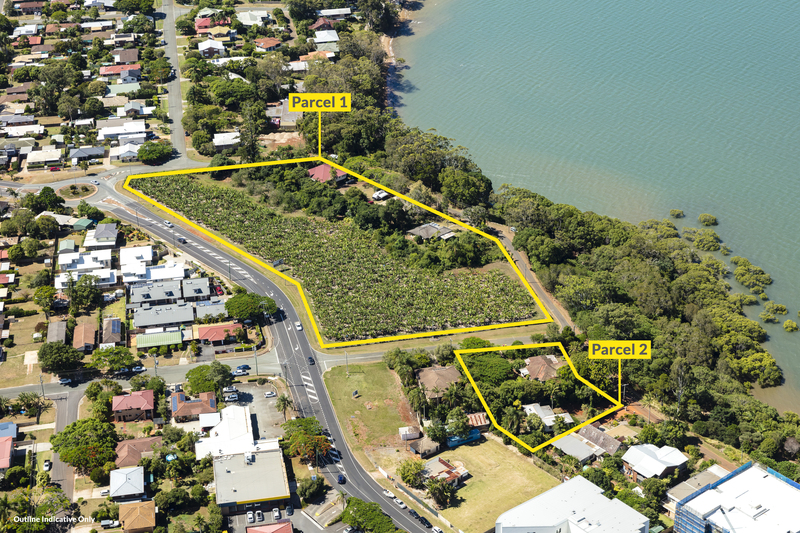 Expressions of interest are being sought for two nearby development sites that are being offered to the market for the first time in over 120 years at Broadwater Terrace and Marine Street, Redland Bay, through Ray White Special Projects Queensland. The total site size of 1.933ha* comes with 36 existing titles, and consists of a northern ‘island site’ parcel and a southern parcel, with purchasers able to buy either one or both sites. 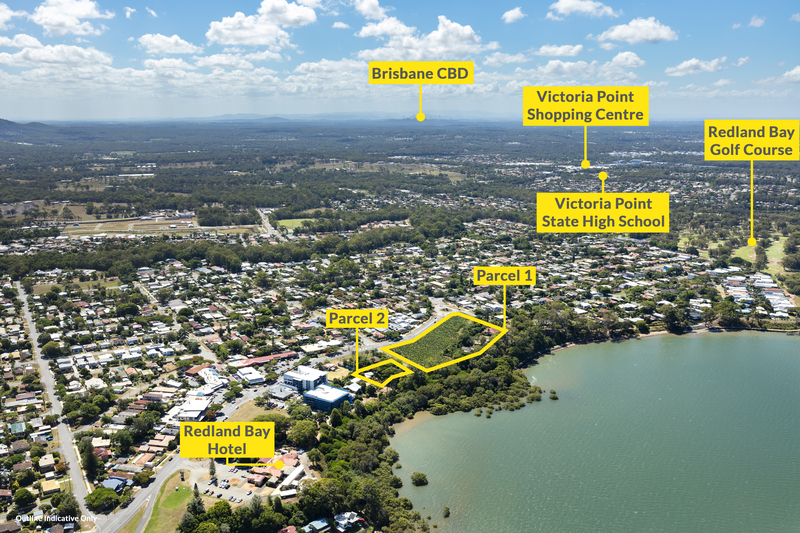 The asset zoned medium density residential is being marketed by Ray White Special Projects Queensland’s Andrew Burke and Matthew Fritzsche and Ray White Commercial Bayside’s Nathan Moore and Jonathon Burrowes. “The last time this land parcel was available to the market, planning for the construction of the Story Bridge hadn’t even begun, so this really is a once in a century opportunity,” Mr Burke said. Pictured: The sites at Broadwater Terrace and Marine Street, Redland Bay. Image supplied by Ray White Special Projects Queensland. “Across the road the northern parcel of 1.7 hectares comprises an ‘island site’ forming the amalgamation of 32 existing titles, which are partly utilised for residential housing and partly utilised for farming purposes. “The individual allotments are estimated to range in size between circa 450sq m and circa 815sq m.
“The southern parcel of 2,343sqm comprises the amalgamation of four adjoining allotments, forming a corner site with frontage to both Marine Street and The Esplanade. The site is improved with two dwellings. View Esplanade and Broadwater Terrace on the Ray White Special Projects website. “The total site has two existing development approvals, the first of which is for a material change of use for a 28-unit apartment building,” Mr Fritzsche said. “The second approval is on a portion of the northern parcel for mixed use apartment building/tourist accommodation comprising 90 units, shop, and refreshment establishment. “Redland Bay is a picturesque suburb and sits just 40km south west of Brisbane CBD and is just 10km from Cleveland. Mr Ian Gordon said the land was of great historical significance to his family, with their great grandfather David Slawson originally purchasing the site around the turn of the century. “David Slawson was a pastry cook who left Kingston upon Thames in England and started a pastry shop beside T C Beirnes in the Valley,” Mr Gordon said. “He was quite successful at this and is mentioned in the book, History of Queensland. He also ran and owned the Redland Bay Hotel and catered for guests to stay on holidays. “His daughter Florence Slawson inherited the land and later married Charles Gordon, who became the Shire Clerk of the Tingalpa Shire before the Redland Shire existed. “Charles then became the Shire Clerk of the Redland Shire when it was named. The land was farmed along with other parcels, growing small crops, custard apples and bananas. “The ownership later transferred to my uncle Robert Gordon and my father Jack Gordon who was Councillor and Deputy Chairman for the local council for a period of 30 years. Expressions of interest close on Wednesday 06 March 2019. For more information contact the listing agents via the contact details below.